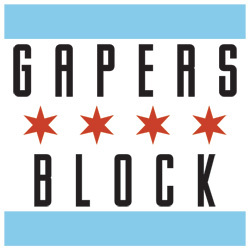 Gapers Block: So first off, why Chicago? Why the Metro? After 20 years why decide Chicago was the place to come? Peter Coyne: We always loved playing the Metro. Bar none, our favorite venue in the States to play. One for the venue and double one for the audience as well. Chicago for us was a fantastic place to play in America. With lots of really good pockets of interest in the band all over the States, Chicago was really the freshest in its appreciation. 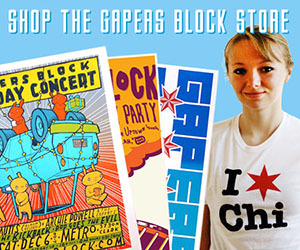 So that's why we're doing it in Chicago. It's unusual though doing a one-date concert tour of the USA. I mean that's just mental in itself. And that shows you just all the respect we got for Chicago above any other states or cities in America. So even with just that one date in America, we're gonna make it count. Also, it's been 80 years since the original Al Capone and the St. Valentine's Day Massacre in Chicago and we're keen students of gangster history. GB: How does it feel to be coming back over to the states for the first time in 20 years? You guys haven't played over here in such a long time it's a pretty monumental thing that you are coming back. What made you guys decide to do this? PC: We started off playing in America since we formed the band in 1985. First off we played about two gigs in the UK and the next four were in America. 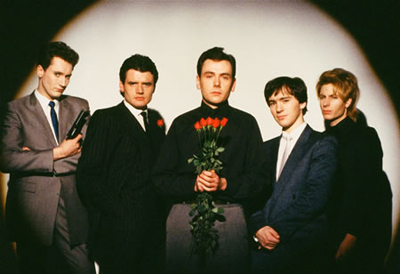 So just straight away, we'd only been together as a band for about four or five weeks, and we were playing in America. So we made our bones as a rock 'n' roll group by playing in the States. That's why America is very important to us, as well as being the source of rock 'n' roll music. It's fantastic for us as a group to take rock 'n' roll to America and have Americans going "you guys are great!" That was a fantastic compliment for a group and we built on that with a successful tour. America has always been important to any ambitious band, and we certainly were ambitious. GB: A lot of your music has a rockabilly soul type feel to it. It feels very American in a roots music way mixed with British style punk flair. What type of music really inspired and formed the Godfathers sound? PC: We grew up listening to all the fantastic big groups in the 60's, and along with that, me and my brother grew up listening to Johnny Cash as well because one of our cousins. When we were about six or seven he brought back a bunch of albums and there were about three or four Johnny Cash records in there, and we connected with that straight away. That's mother's milk to a group like The Godfathers. People like Johnny Cash, or people like The Stooges or MC5. That's what we grew up listening to and that became our influences and we put a lot of that stuff into our music as well. America's had some fantastic groups over the years, and Britain hasn't been too shy in doing its part. 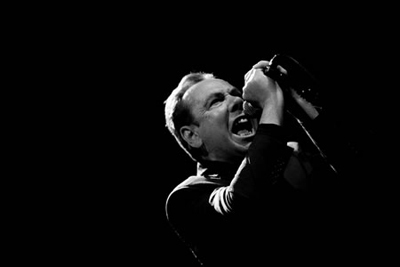 GB: The Godfathers have released music both on independent labels and major labels. What was your experience in comparison working independently and with a major? What was your experience working with a major label? PC: Well we started off on our own label, Corporate Image, put out four singles and an album. So we were making classic records right from the start, and we were happy doing that. Then lots of record companies started approaching us, and then we got one of the biggest and best in the world called Epic Records. They said, "we love The Godfathers, definitely want to sign them up," they made us an offer we couldn't refuse, so we signed to a major label. We would have made those albums anyway, whether it was on our own label or with Epic or Sony, but it was a good benefit being on a major label, you can't deny it. But you can do it on your own. I'd be just as happy releasing independent records as I would based on a major label. Personally it makes no difference to me, it's just promotions and financial backing. GB: At the time when you guys came out there was a lot of new wave and synth and hair metal and that sort of music dominating the charts. Why do you think your type of music, the more rockabilly and real rock 'n' roll appealed to people over here? PC: Because it was real. And it was something that people could connect with. We're about lots of things in the band, but you can connect with a song anywhere in the universe. There's this cycle of life, and we sang about the many things in life in an entertaining way and always with fantastic rock 'n' roll music backing it. So it wasn't just empty statements, these were songs, songs that have lasted for years. It's been proven to us as a band now, just bringing it on and getting the original line-up back, that these are songs that people want to hear. But we wasn't watered down and a lot of people appreciated that. The Godfathers will play their St. Valentine's Massacre Day show this Saturday, February 14, at the Metro. Tickets are $20 in advance and $25 the day of the show. The show is 18+ and doors open at 8pm with the band scheduled to go on at 9pm. Lisa is a born and raised Midwestern girl who's had numerous adventures and escapades, all in the name of music. She's spent time working at labels, venues, in publicity, touring, and of course writing about music. You can usually find her at a show jumping around and encouraging others to dance, and if you ask nicely, she'll probably make you a mixtape. You can find her on numerous social internet sites, including Twitter.